Happy Friday, Homebrewer, and welcome back to the Homebrew Happy Hour! 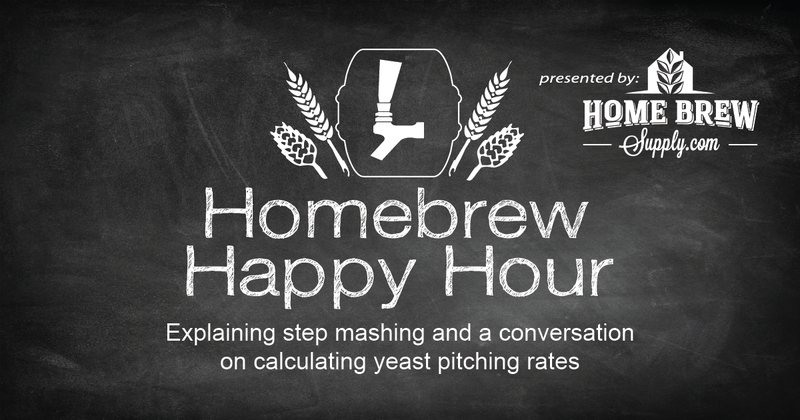 For today’s show, Joshua, James, and Todd discuss step mashing and calculating yeast pitching rates. James and Todd also give Joshua a hard time, despite today being his 10th wedding anniversary (he is literally on a cruise ship right now if you’re reading this on the date we published this episode!). It’s never a bad time to give Joshua grief, it seems.